Please call or text us on 0450065282 up to 9 pm weekdays and 7 pm weekends – Please leave a message if we can’t receive your call, we will get back to you as soon as we can. We are flexible, late bookings can be dealt with! 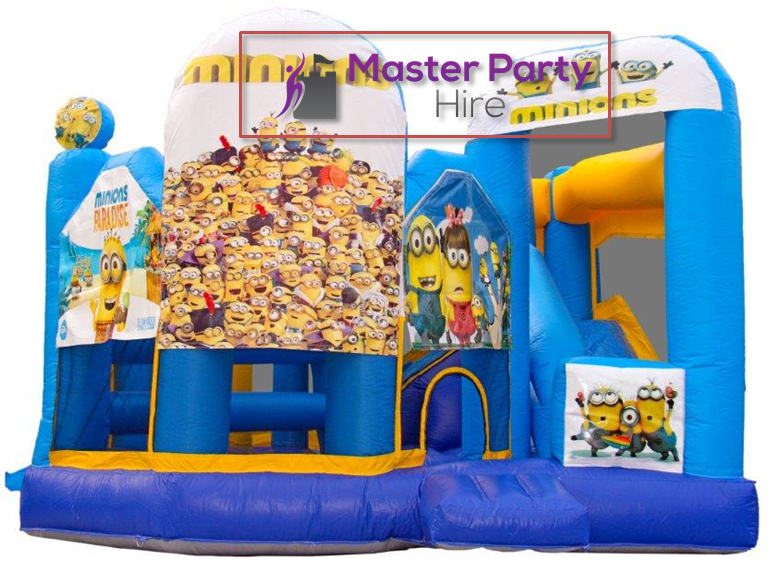 At Master Party Hire you will find all our castles are clean and design to meet the highest safety standards. We have a $20 million public liability insurance. Our trained and friendly staff will always give priority to safety. recommends Hired a popcorn, fairy floss and snow cone machine for our kindergarten graduation we had a great experience with this company! Will definitely hire from them again! recommends Was able to fit as it at last minute putting a package together at a great price. Arrived on time and the children loved the castle and face painters making the child care Christmas party a real success. Would differently recommend and book again with this company. recommends Very good communication, great price and easy. Thank you for the jumping castle on the weekend, it was a hit! recommends Fantastic company! So easy to deal with and fantastic prices! recommends Hired the Mickey Mouse jumping castle for my son’s 2nd birthday! The kids had a ball! Would highly recommend Master Party Hire! So easy to deal with! recommends Very pro active and safety conscious. We had wet weather and were lucky enough we could fit castle inside house. Professional install on jumping castle, still added corner weights for safety. Castle very clean and tables and chairs hired were also in great condition (2 tables brand new in packaging). would definitely hire again. Great service. Set up early and picked up later in the day. The kids loved it. Thanks. recommends Highly recommend Master Party Hire. They were easy to deal with, and kept regular contact up to the day the jumping castle was required. Jumping castle arrived within the arranged time frame in a clean and presentable manner. The men setting up were friendly and accommodating to our needs. Thank you, look forward to our next party in a few weeks. recommends Very easy to coordinate and staff were extremely friendly and helpful. Jumping Castle was extremely clean and tidy and in very good condition. Thanks so much to the Master Party Hire team. recommends Fantastic company! Great people to deal with and very helpful with questions. I would recommend for all your party needs. recommends thankyou so much to the crew at master party hire, for making my little ones bday a big success. kids absolutely had a blast. I would highly recommend to any one of our friends. not only do you have a huge range to select from, you are also very professional and extremely easy to deal with. recommends great communication. quick and easy set up. great pricing. thank you for supplying a cute jumping castle for my daughters 1st birthday!! recommends Amazing people. They were so helpful and made the experience of setting up my daughters birthday so easy. Thank you for your professionalism and great communication. Also great pricing. Great customer service ,very helpful and friendly , would definitely recommend to family and friends. Master Party Hire were great to deal with. Easy communication from start to finish. My little one loved the jumping castle at her bday party, it kept all the kiddies happy all day. Would def recommend all will be using again for future events. Thanks so much! I can not recommend Master Party Hire enough. From the very first point of contact, right to when the Castle was collected it has been great communication. Will definitely be using them again for my children future parties. Highly recommend Master Party Hire. Great set up, efficient and thorough. Castle was clean and kids loved it. Thanks once again for the great work will definitely use Master Party Hire again. Great customer service. Fantastic prices and very accommodating with time allocations for delivery and pick up. Professional and friendly to deal with and best of all very accommodating! I booked a 4x4 castle and wasn't sure if it would fit they said don't worry we will bring u a smaller one as back up just incase. Thank you keep up the good work. We hired a super hero jumping cast for a party we had at home, great service and the castle was exelent kids loved it. Thank you Hitesh and team great work. recommends Thanks Master party. Our daughter had a lot of fun with her freind's her 9th birthday. Professional service appreciate it. I didn't have to lift a finger! Master Party Hire were quick to respond to my booking enquiry, they set up and packed up according to my party schedule, and the castle was loved by all of my guests. Would definitely reccomend and use again! Easy to deal with, fabulous communications, prompt and great price! Ordered the tiger jumping castle.. kids had a ball. We received it early in morning till evening, more than the 4 hour hire. Quick set up. HiTesh, worker, very nice. Amazing job done by them in my sons 1st birthday party ! Very reliable and reasonable price ! Well done guys ! The guys arrived earlier than expected, setup was done in a flash, and kids had a blast. Highly recommended. Thanks Master Party Hire. Thanks Hitesh and Master Party Hire team for helping us celebrate our daughter Amyrah's first birthday at Hume Haveli. Superheroes jumping castle was so much fun for all the kids. We all really enjoyed to see the kids having fun. Thanka alot for making our day special. Thank you so much for the wonderful service! The kids LOVED their minion jumping castle! Would highly recommend master party hire. Booking was quick and easy, the machines were delivered and picked up on time (they were really flexible with what times we wanted). They showed us how to use everything, and we didn't have to clean anything at the end. Thank you! An absolute pleasure & easy to deal with. So accommodating, punctual, polite & hard working. Fantastic staff, services & clean, well looked after equipment. Could not be happier !! Definitely recommend. Thank you very, very much ! I would highly recommend master party hire. Very friendly and supportive customer service. Kids loved the lion theme jumping castle. Thanks heaps. Great service, best prices and on time delivery. Thanks for making our event so sucessful. Guys were great to deal with and the jumping castle was a big hit. The tables and chairs were also a great addition to the party. Thanks guys! All kids really enjoyed. Had a great day .must recommend to all. 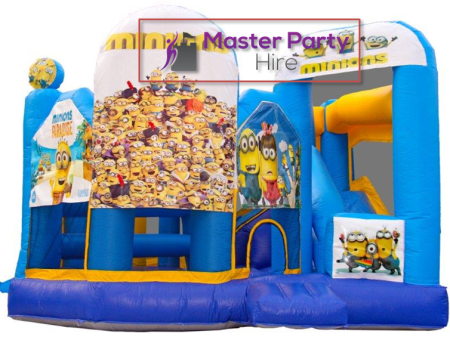 After a last minute stressful search for a jumping castle for my daughters birthday October last year i was pleased to come across Master Party Hire. Lovely staff, communicated well and made my daughter have an amazing birthday. I will be using them again next month for another party. Could not fault! One stop for all party hire needs at very competitive prices. Would not go anywhere else. Children’s Safety Depends upon You. Personal Supervision(above 18 year of age) is absolutely required at all times As the Lessee of the Jump Unit, the Safety of All Riders Is Your Responsibility. 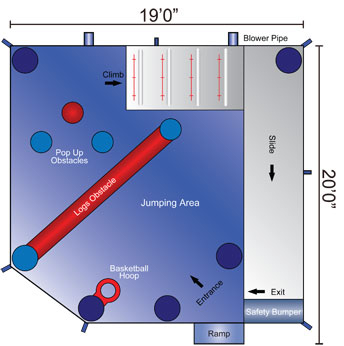 For jumping castle installation you will need 1 meter space each side of the castle for safety reasons. Jumping castles use an air blower which constantly needs to be running. Blower will require a power source. We have extension leads up to 25 meters. If you organising an event in Public Park or ground please make sure you have to organise electricity or a generator. If you are organising event in Public Park, you will have to obtain a council permission from your local council. 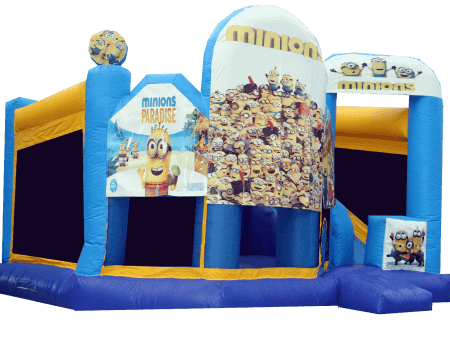 As per council requirement they will ask you for public liability insurance for jumping castle, we have a $20 million public liability insurance which we will provide to you upon request. Master Party Hire is a Melbourne Based Party hire company. It's all about you. We want to help you make your party or event even better by offering you our competitive priced products. Address :: South Morang, Melbourne, Victoria, 3752.